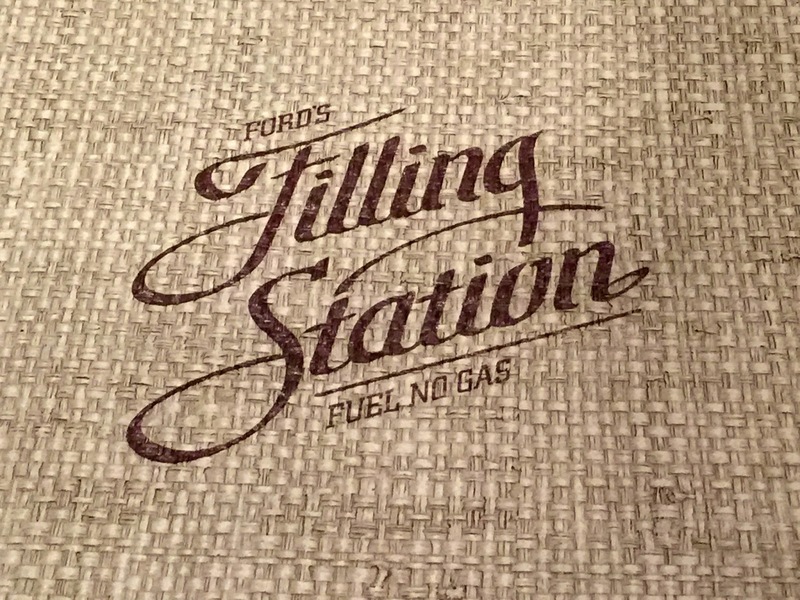 I recently had the pleasure at dining at Ford's Filling Station at the JW Marriott Los Angeles L.A. Live and I have to say that I was seriously impressed. After four years in LA I've only ventured downtown a handful of times but because I'm mostly based here I try to explore as much as possible, especially when it comes to food! I had my cousin in town from NYC so taking her down to Ford's Filling Station for Chef Bens great take on California cuisine seemed like an excellent idea. The location, energy and of course the food and cocktails at the restaurant were great. It's def on my list of things to do in LA, when I want to get out of The Valley and go somewhere cool and delicious. We started off with their smoked brisket taquitos and their flat bread carnitas pizza. 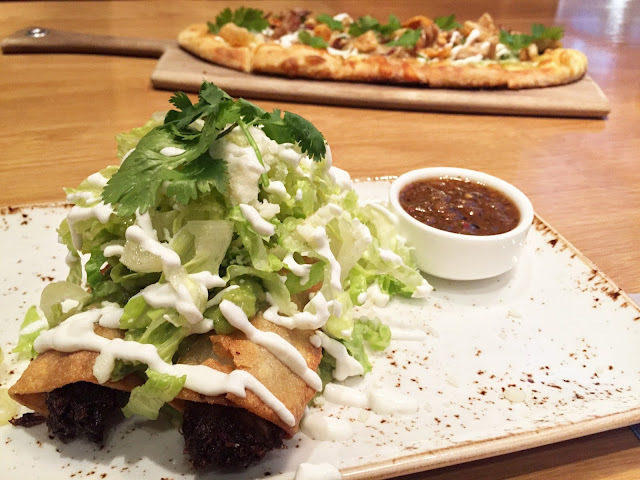 I love brisket and the idea of having it in a taquito was very intriguing. It was cooked super tender and the meat wasn't over seasoned. I wasn't sure what to expect but when I took a bite with the avocado sauce mixed with lettuce and cotija cheese as well as their red sauce and it all came together. This was one of our starters and it came with two pieces (see photo above) and all I can say is that I ate them all super fast! So much yum! Up next was the flat bread carnitas pizza that my cousin had ordered. I'm not a huge fan of pork unless it's crispy bacon (more on that later) but the carnitas flat bread was out of control. It was full of flavor and even the bread itself tasted amazing. We were told that Chef Ben had recently visited Puerto Rico so the chicharones were inspired by that trip. I'm kinda glad he went there! The bacon burger is one of their signature dishes so I had to have it. I love gastropubs and always judge them by their burgers. If the burgers are great then I know everything else will be as well. Ummm...the burger was great! I had it medium rare with the bacon a bit crispy and it was like biting into a slice of heaven. 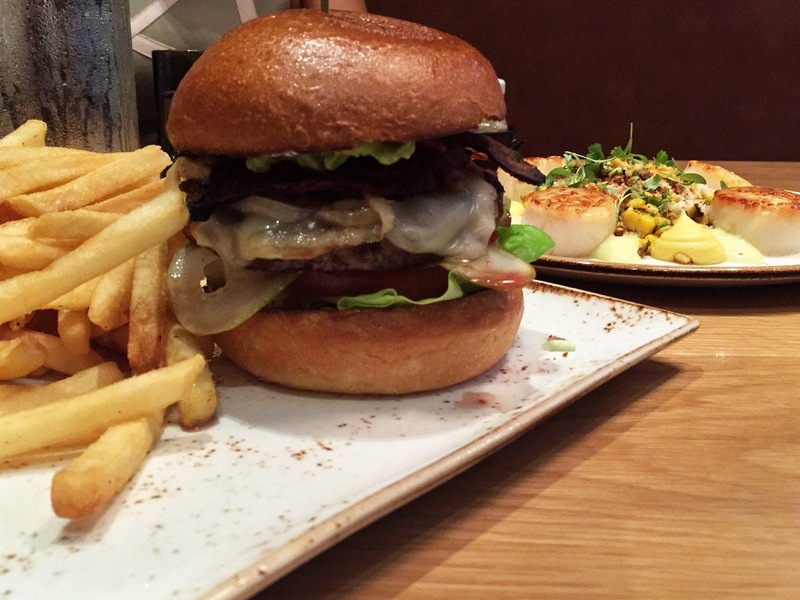 The burger had avocado in it which not only added to the taste but gave it a total SoCal vibe. Scallops were also ordered and not only was the presentation beautiful but they were cooked to perfection. 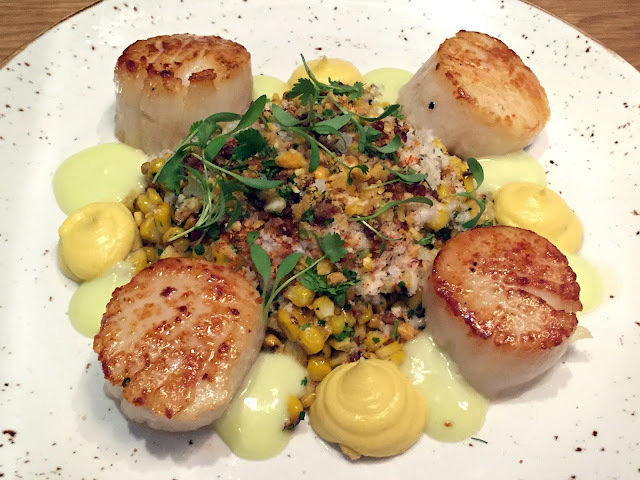 I've had scallops before and hated them but was urged to give this one a taste and it melted in my mouth. It wasn't chewy or overcooked. They were served with a corn and parmesan mix that we highly enjoyed as well. 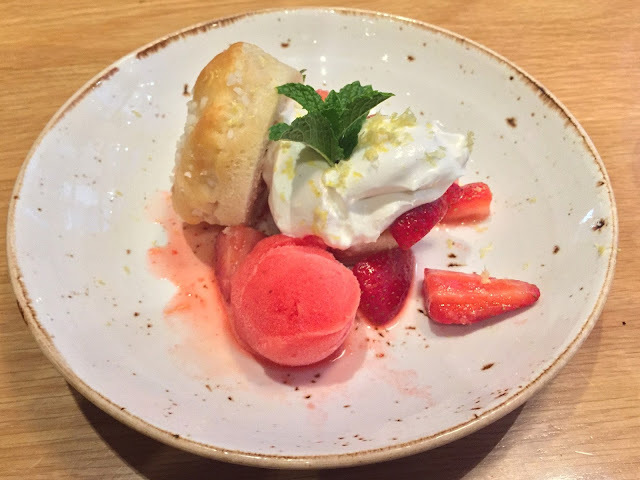 We ended the meal with their strawberry shortcake and one of their drinks called a Quiet Storm which was like a Dark & Stormy but without rum. The drink was strong (win!) 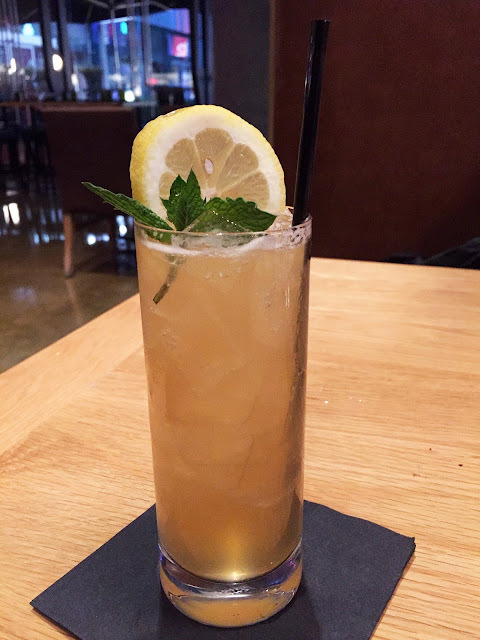 and was like an adult lemonade! I loved being able to have a different take on one of my favorite drinks. The time spent at Ford's Filling Station was really enjoyable. The staff was extremely friendly and knew everything about the menu. Having background information on what inspired some of the meals was great and helped us decide what to order. Also, the ambiance was very relaxing and we weren't rushed at all as we were eating. We were able to keep the menu with us after ordering our appetizers and main course because there was so much that we wanted to try and they didn't want to rush us. All in all it was a perfect place to bring my out of town guests for dinner in order to enjoy a meal at a great place with food that's inspired by SoCal with a seasonal cuisine. The space is perfect for a girls night out or a special event. It's also a nice place for a date night if you're in the downtown area. Or actually, it's worth going to downtown for!